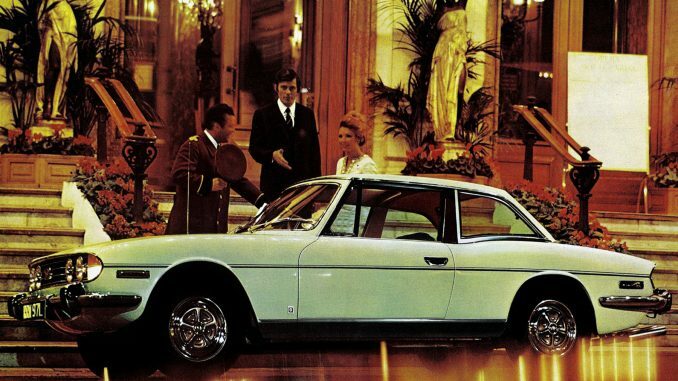 As most of us know, Michelotti styled some fantastic motor cars including our very own Triumph 2000, Dolomite and Stag to name some but a few. But what would you say if I offered you a vehicle styled by the great Italian himself with state of the art technology like a five speed clutch less semi-automatic gearbox with tiptronic control…. Tempted aren’t you? What if this vehicle had more room and space than your average family car or people carrier? …. Sounds good to you? And what if you had luxuries including air suspension with self levelling facility but without the dubious reliability of a large French car and a rust proofing that even the likes of Volvo can’t match. Could you warm to the idea of a turbo charged six-cylinder engine with overhead cam and over 170bhp on tap that hides under the floor as not to encroach and rob valuable space? Oh and by the way…. It’s a diesel too. I know I know, I can hear the distant sniggers and puzzlement as I type. What if this vehicle is available for under £2000 and I’ll bet that more people have travelled in one than any other Triumph/Leyland car to be penned from the famous styling house of Michelotti. One of the first projects of British Leyland was a collaboration with the newly formed National Bus Company in the late 1960s to design and build a modern single deck bus, throwing away past rituals of a separate chassis and traditional hand built coach work. Right from the outset, the National bus was designed and indeed built just like a car on an assembly line no different to the likes of the Mini. Giovanni Michelotti was given the task of styling the vehicle and had past experience of larger vehicles a few years earlier with Scammell Trucks. The National was launched in 1972 and very quickly became a common sight on the UK roads as well as many export markets as far away as Jamaica and as unlikely as the USSR. In true AROnline tradition I have put one of these vehicles through its paces to see how it compares with other British Leyland vehicles….. The Italian has done a good job with the styling of the vehicle and certainly looks modern and imposing (at 10.3 metres long it should do!). The overall shape is pleasing on the eye and the raised roof at the rear looks different but also serves a purpose of housing the heating unit. Plenty of deep windows provide a light and airy look inside, sadly though, electric windows are not on the options list! As can be seen in the picture, the driver’s layout is a lesson in simplicity. Some drivers may find the lack of a rev counter, fuel and temp gauges mildly concerning but owing to its 250-fuel litre tank this shouldn’t present a problem. A large speedometer is provided calibrated to 80mph (a touch optimistic) and a bank of comprehensive warning lights for items such as the emergency door (not even an option on your Princess) add confidence for the discerning driver. 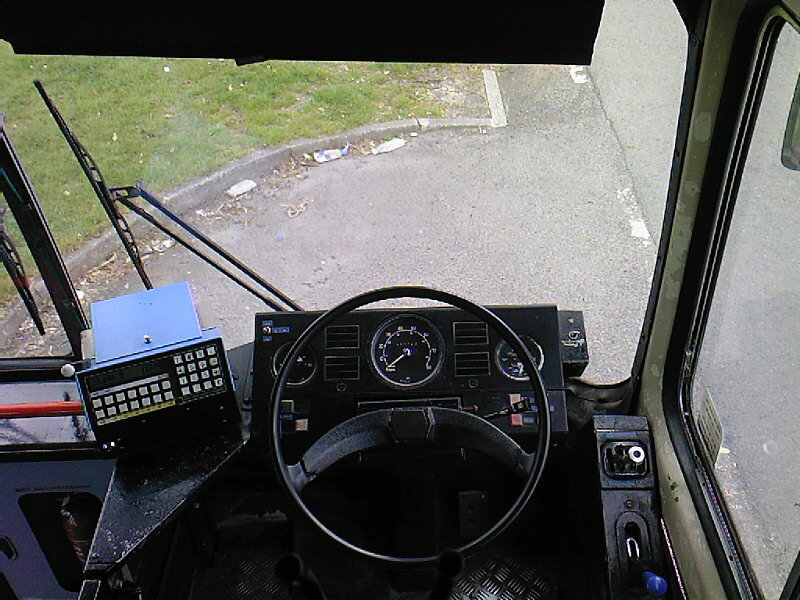 On this vehicle, the handbrake and gear lever are both positioned on the right hand side, leaving the drivers left hand free to… erm… collect fares and issue tickets. Potential buyers will be pleased to note the standard fitment of rack and pinion steering with power assistance, very useful as the vehicle weighs just over 10 tons! Your passengers will simply be amazed with the seating; your SD1 and Austin Princess may be able to accommodate five people at a squeeze, but how about seating for 43 with plenty of legroom and as a bonus, extra space for 20 standing, beat that Renault Espace! Standard equipment may disappoint some owners however. The seats are cloth trimmed but don’t recline, carpet is substituted for lino and whereas your Maxi may have five doors, this vehicle only has 2. On the plus side, the interior lighting is by far the best I have seen on a Leyland vehicle thanks to six fluorescent tubes in the roof area. Heating and ventilation is courtesy of sliding windows and an efficient but simple two position heater (on and off). Owners of sporty cars may feel short changed with the National, top speed depending on the gearing varies from 48 to 60mph but owing to fuel consumption of around 10mpg, buyers may wish to take a leisurely style of driving. Generally, performance is more than adequate to keep up with modern town traffic. The 8.3-litre engine provides more than ample torque and the semi automatic gearbox is simplicity in itself. Caution with supermarket car parks is highly advised, as is with parking. Before you visit your dealer, bear in mind that your garage needs to be at least 33ft long and 8ft 6in wide. Some consideration may be given to your local residents regarding noise and the consequent possibility of frightening small children or old ladies. Some small snags with the vehicle may cause extra annoyance, waiting three-to-five minutes for the air pressure to build with the engine running every morning may result in neighbour relation difficulties. Do-It-Yourself servicing comes highly recommended; it’s most unlikely that your local Kwik Fit could handle this vehicle on its ramps for a lube service while you pop to the shops. Service parts are plentiful but be aware that you will need four gallons of oil and a touch over eight gallons of coolant for that winter service. Access to the horizontal rear mounted engine is pretty good but a good quality pair of axle stands is highly recommended. On the plus side, tyres should last a couple of years of which you need six. Flying in the face of traditional methods, the bodywork is of a riveted construction and is rust proofed for a minimum 25-year life. Resistance to corrosion is certainly better than other BL products like the Marina for example. Its flat floor with lino covering allow for a simple brush to keep clean and dirt free and the interior side panels are trimmed in an no-nonsense Formica. If space and room is paramount I would heartily recommend the Leyland National. Crisp styling that blends in with town and city traffic go in its favour as does sheer value for money, useable examples with an MoT can be had for under £2000. It drives well and is cheaper to tax than a new Range Rover too! 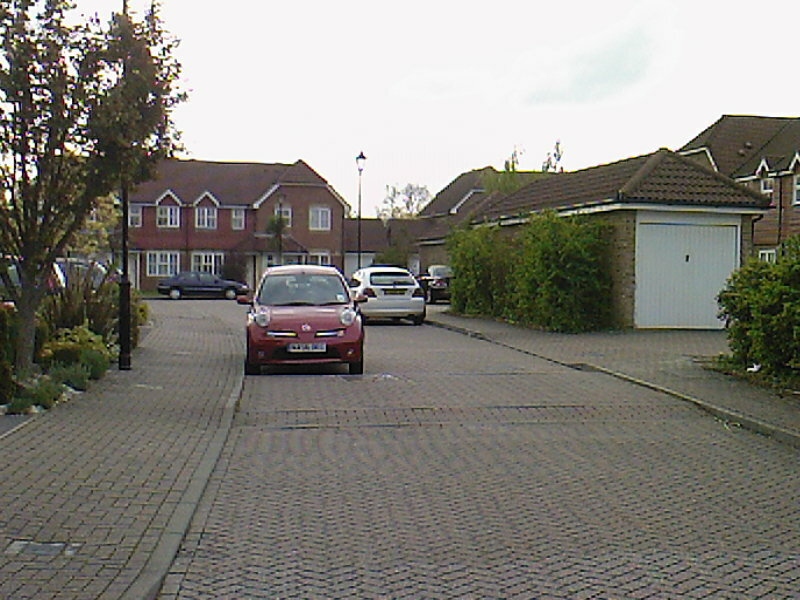 It’s not without its drawbacks though, as mentioned earlier, some owners may find parking a touch difficult and its overall length, width and height may be a handicap to your lean to garage. I can remember the great NBC company UNITED having over 100 National’s in service in the early 1980s. At that time they had a unique “fishtail” exhaust tailpipes which were prone to falling off. I remember once following a No:1 from Tow Law into town on a “Corporation” bus and watching said tailpipe fall off and puncture 2 tyres on the following Talbot Solara! I remember that the Northern Bus company had a large fleet of Nationals in the early-late 1970s and that loud whistling engine note as they accelerated! Tyneside PTE started using them in the mid 1970s also but I think had many reliability problems. A bus with character though!! Nice article. I remember them having a ‘definitive’ loud diesel engine growling noise when setting off, accompanied by clouds of diesel smoke. 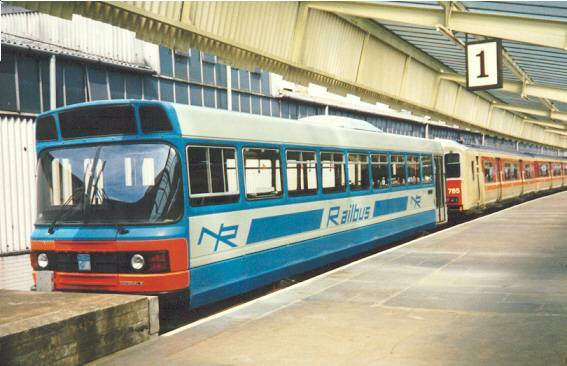 There was also the ‘railbus’ version – looked the same, doubtless mechanically completely different. Not as mechanically different as you may think. The first prototype had the same 0.500 series engine and semi-auto gearbox but fitted with a freewheeling final drive unit. Production railcars were the Class 141 Pacer units though these had 2 x TL11 engines rated at 200BHP each and were subsequently uprated with Cummins L10 engines with Voith gearboxes in later years. I remember Stagecoach had some based at their Stockport depot until at least 1997. The seat covers in the pictures above are the same as used by Stagecoach on many of their buses at that time and might still be in use. Stagecoach in Carlisle had one when I started in 1999 – its nickname was the Prison bus. It had brown fake leather seats and, every time you put it into third gear, the gearbox made a banging sound. However, it was a great little bus and easy to drive. I had the pleasure of working part-time for Chase Bus Services in early 2005. I mostly did the number 6 from Walsall Bradford Place to Bilston Interchange. Lovely time it was too! The bus in my article was, in fact, purchased from Chase when Arriva auctioned off the old buses and parts. Talking of Chase, have you seen Chasewater lately? I was there at the weekend (I live in Pelsall) and they have drained it – it now looks like Bonneville Salt Flats! I had always been led to believe that David Bache had a hand in the styling of the Leyland National. Maybe, though, that for the styling of the updated National 2 launched in approximately 1979? I used to travel home from school in one in the 1980s – the 353 from Slough Bus station to Amersham. I have never been a fan of the National. This is because, to me, it has always been the Allegro of the bus world – a world beater on paper but the finished job was rushed and underfunded and the result was something that, although technically a bit better than the buses it replaced, was, in reality, not so nice for the passengers. The National replaced the home-built mid-engined Midland Red S Series buses which, in their final from with their disc brakes and rubber suspension, were a more refined ride than the National with its rolling body and noisy, smokey Leyland engine. However, the biggest issue was the quality – the National had a “It will do” British Leyland quality that summed up the 1970s whereas the old Midland Reds had a feeling of quality in construction and finish, a sort of motoring throw back to the days of Empire. The National, along with the National Bus Company, seemed like so many things in the 1970s – change for change’s sake rather than for something better. I’m not in total agreement with you, regards quality. Yes, the engine was troublesome to some operators but, with regards to the chassis and bodywork, the epoxy powder coating that Leyland applied offered a level of anti-corrosion that no other manufacturer could touch. The National was simple to build and simple to repair but where Leyland went wrong and went wrong in a BIG way was by creating a solution to a problem that never existed!. This meant the National was thrusted upon many unwilling operator. Later vehicles ie: that National 2 were solid vehicles with proven, rugged running units from Gardner and Leyland’s stalwart 680 and TL11 engines. I remember these old devils running around Banbury as Midland Reds – B3 and B5 were the ones I used to catch. I always tried to sit behind the driver – I thought that stubby gear lever with the five notch gear gate was the bees knees. The point is how many customers get on a bus and care that it has excellent rust-proofing? Indeed, that was not really an issue as operators such as Midland Red used to put their buses through a full refurbishment every seven to eight years to keep them fresh. What mattered to the customers was the difference in feel and quality of the interior. The Midland Red’s BMMOs (Birmingham Midland Motor Omnibus Company – you just know that is going to be full of men with pipes and brown overalls) and, of course, the Daimlers running in Coventry had a lovely hand-made finish because the men who did the work (it was men then) really cared about what people thought about their workmanship. We should not, of course, get rose-tinted hindsight – the later products of BMMO and Daimler suffered from poor quality as the Unions took hold and they lost their better skilled employees to the better pay offered by the car manufacturers. You are correct about the unwillingness of operators to accept the National. The best thing about the BMMO and Coventry Corporation Daimlers was that they were designed and built for the operators, just as the AEC Routemasters were for London Transport. That was particularly applicable to Midland Red with its own company (BMMO), which meant that, not only did the drivers and workshop know all the ins and outs of the designs, they actually knew the people who designed and built them, so their was a feeling that they were part of the family and so treated with care. Once Nationalisation and the resulting standardisation occurred all this was lost and I suspect this is part of the reason the Midland nationals was usually followed by a large cloud of black smoke. Well, in South Essex, where we had either Eastern National or Southend Corporation (later Transport), we had a choice of either Leyland National (Eastern) or Olympia (Southend) with the odd Routemaster thrown in. The Routemaster won hands down except on warmth – the open back meant a draft round your legs! I haven’t been there for ages but used to visit frequently with my now ex-girlfriend. Might visit over the Bank Holiday weekend if the weather is nice. It’s interesting reading about BMMO and London Transport. Two transport giants that lost the idea of what they were all about. Firstly BMMO – no other company bought its products, they were solely designed for its own purposes and severely expensive to design and maintain. London Transport had a blinkered attitude and really truly believed that its way was the only way to do things. Hemmoraging money for so many years, it totally lost the plot with god awful designs such as the Swift and the Merlin. Every other operator in the UK found the Fleetline to be popular alternative to the Leyland Atlantean but, for some unfathomable reason, London Transport found them to be hopelessly unreliable. Why? Well, because they dictated the design brief. London Transport used to employ three men at the Chiswick works and their job was drive round all the depots and tube stations collecting the tin fire buckets. They would take them back to the works, cut out the rusty metal bottoms, braze in a new fabricated bottom, paint them red and send them back out to the depots again rather than take some money out of the petty cash and send the trainee down to Woolworths. A classic tale of a complete waste of money! This was done not because they needed to, but because they could – utter, utter lunacy! That’s why, when people tell me how wonderful London Transport was, I draw breath through clenched teeth. However, nostalgia is a wonderful thing! Indeed, that was the whole point of my previous comment. Engine problems aside, the National was an extremely solid and well-assembled vehicle that would outlast most of the competition. Bear in mind that other UK bodybuilders were still using wood frames in many of their products at this time. Right from the outset, the National set the standard for ruggedness and resistance to rust. Okay, it was not the best bus by any standards, but it set the standards for others to follow in areas such as passenger space, safety, driver ergonomics, ease of repair and styling. I think Honorary Swede makes a good point about it being the bus equivalent of the Allegro. Suffering more than its fair share of teething troubles at the start, in its later forms particularly with a Gardner engine, the National was very well sorted. The fact that many were re-engined with Volvo power units in the 1980s reflects the basic rightness of the design. The National, also just like the Allegro, was replaced by something throughly conventional but still very well sorted in the form of the Leyland Lynx. I was very fond of the National, preferring them over the newer busses that Stagecoach bought to replace them. Even though the Lynx was a decent machine to drive, the lifespan was dissapointingly short. Some say that on a cold, quiet night you could actually hear the underframe of a Lynx fizzing away with corrosion. 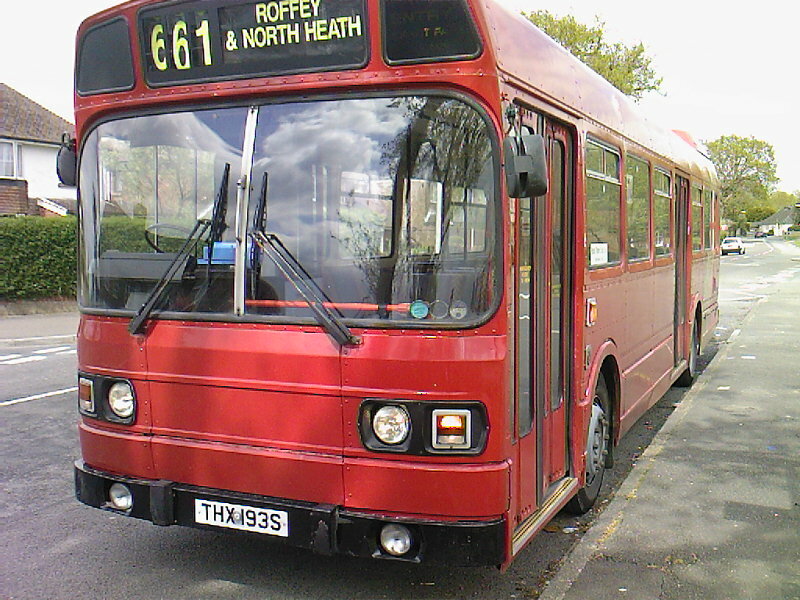 Some years ago, I had the pleasure of driving a Cummins-engined Lynx Series 2 from Nottingham City Transport and, with the exception of the ferocious noise from the hub reduction rear axle, it was without a doubt one of the most responsive buses I had driven. Series 1 Lynx buses were very costly for Leyland in warranty costs – a Fleet Engineer from First Group used to say that they were the only bus you had to follow with a dustpan and brush. I drove one from this THX…S batch while at Arrow Coaches in Bristol in the early 1990s. It was a short wheel base, single door. Ah, 1977, and as a young lad of 12, I was mad about a few things in life: Doctor Who (still am), Triumph cars -especially the Stag and “S” Estate (yes, you guessed it, still am) and, finally, the Leyland National. I was a compulsive car brochure collector (still am) so also went out of my way to obtain brochures on the National but alas, being a bus, they were few and far between. The Leyland Lynx originally replaced the Nationals with Eastern National but, when Badgerline took over, these disappeared very quickly to be replaced by London Transport hand me downs. The Nationals were running from the late 1970s in South Essex until the 1990s – the Lynx probably ran for about five or six years before they disappeared. My memory of the Lynx was that it was rather rolly-polly and the heating was always either not working or on full blast. We had a fleet of these in Hemel Hempstead in the mid 1970s – they were all ‘M’ registered. You could hear one a mile off – it is very hilly here – clattering up the hills and the brakes squealing going down the hills. Lots of people thought they had air-cooled engines. The Leyland 510 engine was fine as long as it was well-maintained but, unfortunately, most weren’t. The National Two was therefore a quantum leap for most in terms of reliability. Well, even the best maintained units were no match for the established power units of the day such as the Rolls Eagle – Cummins 220 – Gardner 6LX – Leyland 680 and AEC 760. When the units were fitted into the truck range such as the Leyland Bison with ratings up to 260bhp, the failure rate was out of this world. A little known fact was that this fixed head OHC high speed diesel was meant to be built to around 11 litres. Running prototypes were proving to be really good until a new head of engine design Dr. Albert Fogg brought the spec down to 8 litres with little time to get the engines proven. The net result was that operators unwittingly became the guinea pigs for the engines. Some ran perfectly while some expired way too early. One of the key issues of the engine was that its goverened speed was way too high and the fuelling could not be perfectly timed owing to using fuel pumps that were designed for much slower engines – overfuelling and melted pistons were rife with the 500 series, cracked blocks were fairly common too! I believe that, around 1992-1996, about 200 Leyland Nationals were stripped down to their frame and rebuilt as “National Greenways” by East Lancs at Blackburn. All the body parts and windows were replaced and new-style front and rear ends were added as well as a re-conditioned Gardner engine. London Country were the first and biggest customer – they owned East Lancs at the time. The Lynx replacement which has been referred to above was AFAIK originally an export vehicle destined for Australia and New Zealand. Development cash was short (imilar to the car side of the business) SO the National III was put on hold and the Lynx was modified to become the new UK offering . The Leyland National was not a fundemantally bad bus. However, where Ford had a nack of producing the right product at the right time for the right people, the National was the wrong bus, produced at the wrong time for the wrong operators. The National was originally not even called that. It was thought up in the 1960s following the legalisation about one person operation, i.e. no conductor. However, at the time, that was only allowed for single deckers so Leyland thought – not unreasonably – that there would be a large swing to this type of bus from the major operators of city fleets. For that read, London Transport, the corporations of Glasgow, Birmingham, Leeds and Manchester, etc. The National was therefore designed at the outset as a bus for city operators. Leyland had high hopes of export sales and envisaged sales in the thousands per annum. However, the Government then legalised double-deckers for OPO and, as a result, those same operators whom the National was designed for basically turned to double-deckers. 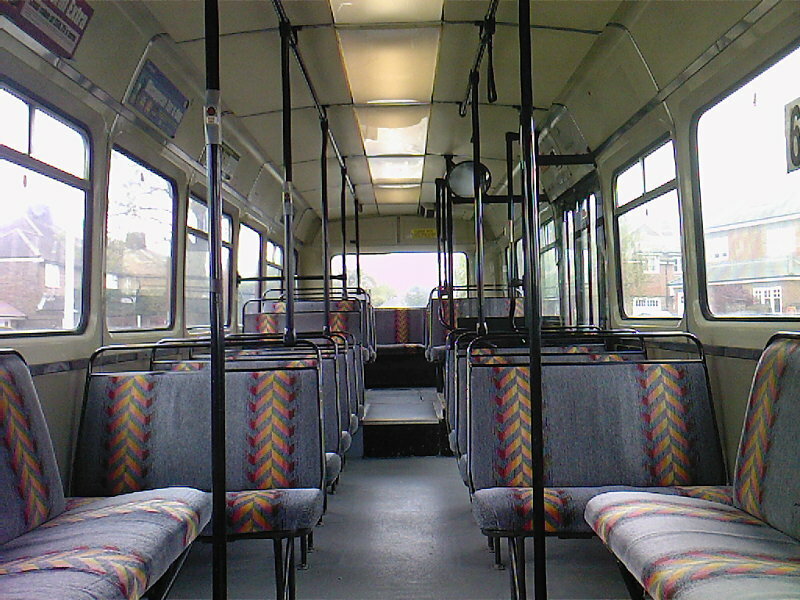 Leyland was left with a bus designed for operators who decided they no longer wanted it. The same Government then came riding to rescue and created the National (note the name) Bus Company (NBC) which approached Leyland to design it a futuristic new bus. Leyland, of course, happened to have a brand new design ready to go which could be the image of a forward thinking company and so it presented the world with the Leyland National. The only problem was that the routes that NBC had tended to be rural and inter-urban – routes for which the National was very unsuited. NBC ended up with a bus not designed for it, used for routes it wasn’t suited and engineered for a different type of fleet. Ho hum hoots. Great article! I loved the sound of the engine inside these buses. We had them in my area until the late 1990s. Bus operators have long since replaced their National fleets but greedy train operating companies continue to force passengers in many parts of the country to put up with the “Pacer” rail version. These things where clapped out over 10 years ago yet are still in front line service with no sign of replacement anytime soon. Almost but not quite, Mike. It was Dr. Fogg who penned the first 700ci headless engine having been inspired by such engines produced by Bentley in the 1920s. Leyland changed the goalposts very late in the day as they wanted an engine/gearbox combination weighing less than 1000kg to put into their lorries (thereby increasing carrying capacity). Some of the tooling had already been produced and had to be hastily modified with dire results. The rest of the bus was a good design on the whole as long as you understood what was going on. Most of the rattles were due to operators ignoring loose brackets around the windscreen area or replacing stressed exterior panels with fibreglass copies or not using the original fixings. There were many bodges carried out by operators, some who should know better, that gave the National a reputation it just didn’t deserve. Don’t get me wrong, this was one flawed piece of work and needed as much care and attention as any highly strung diva but, as long as you looked after them and got to understand their peculiarities, they could last forever. I see that you worked for Chase so you may remember me. I worked there briefly in 2005 and you may have been the Fitter who kindly gave me a set of National badges – I was the one with the Northern accent and drove a pair of Peugeot 406s. Anyway, if you remember, go to the Contact us section on this site, click on the link and drop me a line. P.S. : I often drive THX 193S (ex-Chase National) now in the hands of a Sussex-based enthusiast operator. The national was a tough old beast and, as many drivers would say, they would rather be in a National if they had a whoops, due to them being built like a brick outhouse. The 510 was a joke of an engine really, but re-engined Mk1s with Gardner and Volvo units suffer from ‘saggy arse’ due to the heavier engine. Volvo-powered Nationals have to be de-rated or they eat gearboxes. Go Ahead went one stage further to get rid of the problem in their refurbed Mk2s by fitting Voith 3 speed autos… Argh! Nationals do have major points where they rot: around the windscreen and window pains and all four arches. The hydracyclic/Gardner Turbo also threw up another major issue.. .FIRE! Quite a few spontaneously combusted. Oh, and the least said about it’s hopeless replacement, the Lynx, the better. Saggy arse from new (engine/box too heavy for the chassis frame and body) and a body which disintegrated faster than a choc ice in a heatwave. A good friend of mine owns the very first production Lynx and has spent over £25,000 having the body rebuilt due to there being virtually nothing left of the frame in a lot of crucial places. The bonding agent Leyland used in the construction actually reacted with the anti-corrosion treatment on the steel frame and windows falling out were very common – the windows form part of the structure. A Lynx cannot be towed if there is more than window missing either as the body will twist! Thinking of differing gearboxes in Nationals – there was the option, whilst in production, to specify the ZF automatic but, as far as I know, only one operator specified it in the UK. One ended its life at The Birmingham Coach Company, still fitted and although it didn’t last very long in that form, I still managed a quick scoot around the yard – just weird! One more different gearbox which merits a mention was the continuously variable ratio gearbox that was fitted to REV 01. Apparently, that was a real strange thing to drive as its audible performance was in no way related to its forward momentum! I think this bus still survives in Cumbria but rebuilt into service bus form from a testbed using, of all things, ex-West Midland Travel Lynx seats! That begs this question: if BL could achieve this level of rust-proofing on the National bus, why couldn’t it do the same on any of the cars made in the same period? I have wonderful memories of travelling on these buses with my Mum in the early 1980s when I was a little kid. The service was run by Alder Valley in Hampshire. I had no idea the National was designed by Michelotti. I have vivid memories of the Leyland National and National 2. I grew up in Stourbridge and now live in Halesowen, in one of the areas where the National was most dominant. Wumpty (WMPTE), Midland Red West and successors like Birmingham Coach, Metrowest, Ludlows and several more, operated them until the mid 2000s and we had a wide range of short length, long length one or two door and also the semi-coach ones with the high-backed seats which were lovely to ride in! These were on the limited stop services! I have so many happy memories of the National which took us on trips to school , college and work to Dudley and Stourbridge on the 247/248, on the Amblecote circular on route 231 and occasionally, if we were lucky, a semi-coach one on the 9 to Birmingham. I had the privilege, when I was in middle school, of visiting WMPTE Hartshill in Brierley Hill, the old BMMO depot and seeing the Fleetlines, Nationals and occasional Volvo Ailsa in the workshop and the bus wash. They were good buses that gave good service to the people in the West Midlands and 1970s kids like me grew up with them! A great article! Amazing buses – in my hometown (Nuneaton), the local bus company (Midland Red) were using them WELL into the 1990s. Maybe I’m remembering this through the rose-tinted glasses of childhood but they seemed to breakdown a lot less than the modern Dennis and Volvo buses which Stagecoach operate here nowadays. Apologies if one of the many comments above raises this but the Leyland National wasn’t just seen on our roads – oh, no. Don’t forget the various railbuses, known as LEVs – Leyland Experimental Vehicles, jointly developed by BL and BREL, Derby. Nearly all are alive and well today: the first example of its kind – LEV1 – is owned by the National Railway Museum but can be seen on the North Norfolk Railway. My great uncle, Charles Ashby, developed a similar vehicle called the Pacerailer which ran on the Meon Valley Railway for a short period. The Dennis Alexander double-decker is notorious for breaking down here in the West Country. It seems that a week can’t go by when I don’t see one of Stagecoach’s finest double-deckers broken down by the side of the road in the vicinity of Exeter. First Hampshire and Dorset, which run a number of bus services into East Devon and Exeter, have far less reliability problems with their Scania Omnidekkas (which I am a big fan of) and Volvo Wright Eclipse 400s. Here is some footage of the Pacerailer in action. I seem to recall it used Leyland E181 diesel engine (but cannot be 100% sure). My uncle bought up the Meon Valley Railway with the aim of using the Pacerailer to showcase a new business model for post-Beeching branch lines. Unfortunately, the Pacerailer was detroyed by fire (vandals) and nothing now remains of this project. Well, these are just single-decker Dennis buses with what I call Citroen suspension i.e. the driver presses a switch and the corner comes down to more-or-less kerb level to allow easier access for wheelchairs and the elderly. Ironically, only a few weeks ago, I had to come off the bus I was on and get onto another one because something was up with it – not that we were informed what but a mechanic from the bus company got in and drove it away. I dread to think lol. Actually, in hindsight the bus concerned might have been a Volvo – I think they both use Alexander bodies nowadays. Bleedin’ modern buses all look the same to me! lol. I realise this is an old topic, but I have to say, having driven Leyland Nationals from the time they hit the roads, ours were new L reg ones on London Country, until they all but disappeared, I have to say that, at best, they were dire vehicles. Yes, they did the job, and for a long time, but at a high cost. Our LNC`s replaced the trusty RF`s on Green Line work, my route being the 706 out of Tring Garage. They were hated by the passengers from the word go, for their slippery green plastic seats, noisy engines and heating that fried their heads and left their feet freezing. As for driving, well, yes they were fairly comfortable, but that was that. Nobody seems to remember the “fly on” park brake, that could be caught by your hand when putting the bus into 5th gear. The slow releasing brake actuators which would lock up the front wheels and not release, especially in the wet, and with no weight in the front end (the batteries weren`t shifted from the back until later mods) making steering impossible. 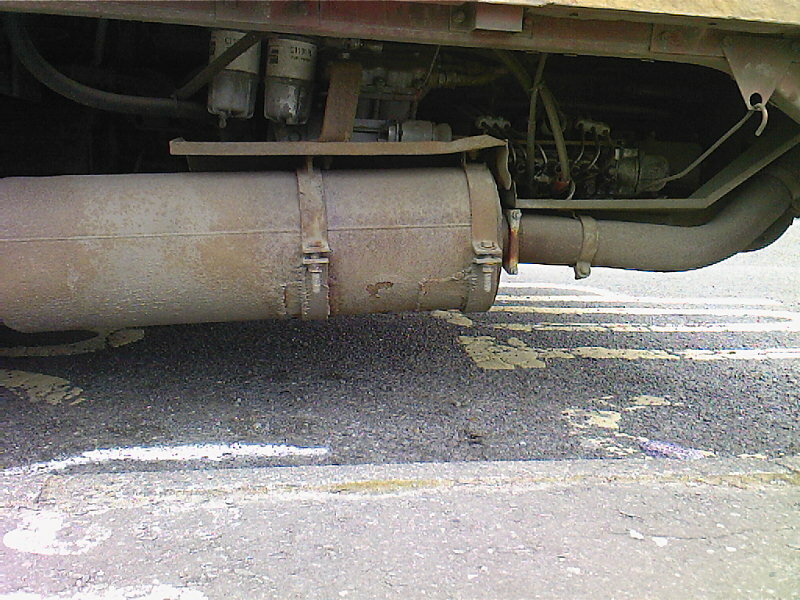 The huge fish tail exhausts, which would snap off and slide down the road, destroying everything in its path, mine damaging an 1100 at Vauxhall Cross one way system. The engineers hated them because even small engine jobs involved an engine removal. All our LNC`s were blacked by the union until all modifications were done. They came back a bit better, but until we got the SNC National Suburbans, we had to put up with them. The later models were bearable, if you didn`t mind the ear aching rattles.